Under the law, companies would be required to submit an annual conflict minerals report to the SEC if: (a) they are required to file reports with the SEC under the Exchange Act of 1934 and, (b) conflict minerals are necessary to the functionality or production of a product that they manufacture or contract to be manufactured. That statement contains two separate - but critical concepts: the purpose of the conflict mineral in the product/process, and the control that the company exerts over the manufacturing process/specifications. Offers a generic product under its own brand name or a separate brand name (regardless of whether the company has any influence over the manufacturing process) and the company contracted to have the product manufactured specifically for itself. This language implies that some retailers who are not themselves manufacturers are likely to be subject to the audit and disclosure requirements. 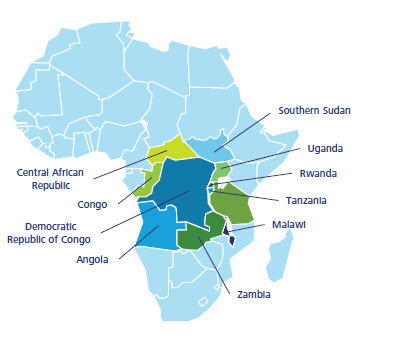 Companies subject to the SEC reporting requirement would be required to disclose whether the minerals used in their products originated in the DRC or adjoining countries (as defined above). The law mandates that this reporting be submitted/made available annually. While Express Systems & Peripherals is not subject to SEC reporting, Express Systems & Peripherals fully supports this legislation and its position is to avoid the use of conflict minerals. Express Systems & Peripherals does not procure 3TG minerals directly from mines or smelters; nevertheless, in order to comply with the applicable SEC rules and, just as importantly, to adhere to our company values, Express Systems & Peripherals has begun to embark upon the process of working with our suppliers to ensure that no conflict minerals will be used in our products. Express Systems & Peripherals is adopting standards in line with the EICC/GeSI and OECD Standard of Diligence, regarding our process to obtain chain of custody declarations from all Express Systems & Peripherals sourced and managed suppliers ensuring transparency in our supply chain.